Although I’ve long vouched for the amazing benefits of Oatmeal, I actually recently decided to change up my skincare routine. Although my former regimen had been doing wonders for soothing my skin and clearing it up, I sometimes didn’t feel quite clean and “fresh” enough after washing my face for my liking. So, a couple of months ago, I jumped on the Clarisonic bandwagon and purchased a Mia after reading positive review after positive review. I wasn’t sure what I’d make of it, but paired with this cleanser, I’m happy to report that I am now yet another Clarisonic fan. I only wish I had gotten it sooner! That’s why I’m very excited to be giving away a Mia 2, the newest model — with two speeds and a travel case — to one lucky reader! To enter, just comment on this post and tell me your main skincare concern (along with your email address)… then sign in using the form below to confirm you did so. Good luck! a Rafflecopter giveawayYou can also enter to win a spa package for 4 worth $2000 here. My main concern has always been dry skin…with an oily T zone! My main skin concern has always been exfoliation. My main concern is sun damage! My main skin concern is very dry skin but also shiny. If I win I would prefer the white. I would prefer white. Thanks for the awesome giveaway! I love the white! I need to switch up the skincare routine now that the seasons are in transition! I have some issues with minor breakouts on my forehead because of oiliness. Would love to see this problem solved. Amazing, Jen! My main skincare concern is dry skin and exfoliating. My concern is dehydrated skin. I need a moisturiser that stops fine lines in their tracks but doesn’t clog my pores! My main concern are breakouts and oil in my t-zone. I have my eye on the pink one! Thanks for the giveaway. My main concern is clearing up my old acne scars. I have heard so many great reviews on this product. Main skin care concern: oiliness and pores. Would love the white Clarisonic! White! I would definitely be keen to see this if it works on old acne scars! I’ve been wishing for one for almost a year! I have quite dry skin, in particular the mouth area. Wish to have Clarisonic one day. Thanks for the Giveaway! my main skincare concern is keeping my skin hydrated! white. thanks jen! my skin breaks out a lot and i have dark acne scars that i’d like to get rid of. oftentimes after washing i can still feel the unexfoliated skin sitting on my face and would like to get rid of it for brighter, radiant skin. And I would love the pink Mia! Great giveaway! My main skin care concern these days is super oily skin, and the occasional breakout. Hi, my main skincare concern is dry rough patches around my nose & mouth area. my main concern is my occasional breakouts, but also protecting it a lot more this summer! What a wonderful giveaway!Thank you! I would say my biggest skincare concern is extremely dry skin that never goes away! I’m SO curious about this product as well after seeing it on so many beauty best lists! Number 1 concern: hyperpigmentation, uneven skin tone! Thanks for this opportunity, how fun! My main skin concern is under the skin bumps; not quite pimples, just clogged pores that stubbornly won’t unclog. Yuck! I think the Mia looks great in white. You just can’t beat the classics! thanks for holding this wonderful giveaway! 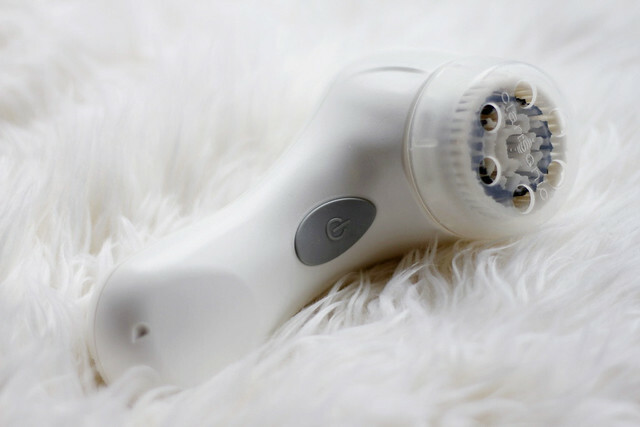 my main skin issue is clogged pores so the clarisonic sounds just about perfect! I’d love it in white. My main skin concern is the redness and pimples! I prefer the pink one! 🙂 I have a clarisonic already, so I’m not entering. Sorry for the BOOK of a comment. My pain concern would be dry and some redness. Either colour works for me and my email is kachedo220@hotmail.com! This is an awesome giveaway, thanks! pink. has to be pink!! My greatest skincare concern would be balancing between being oily and being too dry. I have oily skin and it’s difficult to find a product that can control the oil without drying me out to produce even more oil! I’m trying to minimize my enlarged pores. I’ve been using many different cosmetic items so, I hope the Clarisonic will help with this. P.S: can you style some outfit ideas for a beach/cycling holiday? Thanks!! I’d love one in PINK! My main skin care concern is dullness. I would like white! My skin is combination – oily in some areas and dry in others, and I often end up with breakouts in the same areas, leaving my skin with tons of scarring and unevenness. My main skincare concern is the recurring acne whic h is not disappearing even though I am approaching my 30s. I would love a pink one! My skincare concerns are oiliness and shine. I’ve been wanting a Mia for so long! My skin routine needs a revamp- stat! I love the white Mia. I would love the white Mia- it would be a great addition to my skincare routine. Hi Jen! I’ve always wanted to try the Mia and I’m so excited that you are doing this giveaway. I’m a big fan of your work, thoughts and your fashion blog. I’d love the basic white and would love to add this to my skincare routine. Thanks for the opportunity! My main skincare concern would have to be my acne scars 🙁 I hope they fade away! Main concern is sun damage and acne! I’m 29 and my skincare concern is recurring acne, oiliness and sun damage. My main skincare concern is sun damage! I’d want the pink one – it’s so pretty! I would love to have one because I have an acne, combination skin and the very first step to cure is to keep the skin clean. I love to have one cleanser like this but I cant afford,I am still a student,.haizz. a pink one would be lovely! my main concern is redness…and these little bumps ive had since i was a baby…they come and go, but what i’d give for clear beautiful skin. Would love it in white! My main skin concerns are a few breakouts here and there as well as large pores! Ooh, I’d love to try this! My main skincare concern at the moment seems to be random breakouts on my left cheek… NO idea why, but it’s always in the same spot. Annoying! Oh, and I would choose the white! Thanks for the chance, lovely! xo! my main concern is acne, i have to be so vigilant to keep it under control. would love it in white! When I eat too much sweet chocolate, I break out. I think I would like a pink Mia 2 if I win. Thanks! My biggest skincare issue is the acne scarring, which is why I have to make I prevent any acne. If I was lucky to win the Clarisonic, I want the Pink one! Classic white would be perfect for me. Pink! Always a girl’s favorite color! I would love a pink one <3. Thanks for sharing this. Biggest skin concern will be acne scars and blemish. Hi! I would love it in white! My main skin concerns are a few breakouts here and there as well as large pores! Would love it in white! Main concern is aging and enlarged pores that don’t shrink anymore! Hope you’re doing well Jen. White! Main concern is oily skin. I have been wanting to try the Clarisonic but haven’t bitten the bullet to invest in one, so this would be an amazing win! My main concern is dry skin and I’d hope that the Clarisonic can help smooth away dry, flaky skin. I prefer white as well, and struggle with oily skin and breakouts from time to time. I prefer the pink! Soo cute 🙂 I should use facial cleansers but sometimes I just use soap.. whoops! Definitely room for improvement..! The white looks classic, and this system is something I’ve had my eye on for a while now! My friend swears by its ability to provide a deep-clean, and I’d be interested in finding out how it can help my dry skin! i’m concerned about the texture of my skin and the acne on my chin! I prefer white 🙂 it looks really clean and it’s my favorite “color.” I’ve been eyeing the MIA for quite some time now – especially hoping it will help with my clogged pores as well as general exfoliating. Thanks! oh and pink would be lovely. Hi! My main skin concern is roaccia i break out a lot because of certain cleansers or diet. Thanks for being one if the few bloggers to openly disclose your skin concerns :). My main concern is my oily skin, and the breakouts and subsequent scarring that come with it! Hi Jen! I would prefer the pink and my main concern is hyperpigmentation. My biggest concern is dry skin. ick. And I would love it in white! My biggest concern is clogged pores around my chin and jaw line. Would love a pink one. I would love the pink mia! my main skincare concern is redness. My main skincare concern is the redness on my face! My face is so red without any makeup on! My main concern is acne without a doubt. I would be very happy with a white clairsonic. What an absolutely awesome giveaway! i’d choose white, i’ve wanted to try this product for a while now. My main concern is definitely oil in my t-zone. I think the pink one is just darling! Fingers crossed! My concern is hormonal acne and good exfoliation. I just got a Clarisonic Mia (would love to give one to my roommate though) and it’s done wonders for my skin!! Would love to give her pink or white! white! Most annoying skin concern is large pores! love. congrats on all the amazing things going for you jen! I would like White please. My main concern is Age Spots. I’ve had pimples throughout my teens and into 20 and mid 30’s and then I started to get age spots. My biggest concern is clearing out my pores, and either color would be fine with me! Would love this product! Main skin concerns are sensitive skin, hyper-pigmentation. Thanks! My main concern is my acne. I would love to keep it at bay for once! I would love to own a Clarisonic, preferably in white! Thanks! I prefer pink, and my main skincare concern is dry skin! Oooh, I’d love a pink one, please! I’ll take the white. My skin is oily and acne prone, so I just want something that will actually (and finally) work to clear it up. My main skincare concern is having oily skin. Because I live in a tropical country, it’s kind of difficult to avoid it as well as preventing break outs. My main concern is clearing out my pores. I would love to win this one. I never thought i’d say this but Aging is a big concern for me these days… Wrinkles, brown spots & lack of elasticity! My main skin concern is unevenness. My main concern is large pores. I think the Clarisonic would help clear them out and reduce their size! I’d love to try one of these! I have the worst skin, am always breaking out (although the oatmeal you suggested has been helping). I’ve heard great things about clarisonic though and would love to give that system a go. I currently have hormonal acne and although it’s gotten much better over the years, I still tend to break out from time to time so I really need a deep cleaning cleanser and a brush to keep is squeaky clean. My main concern is the dry patches on my cheek!! My main concern is my dry flaky skin – I have rosacea. Would love to use the Mia to exfoliate! My main skincare concern is having clogged pores which essentially lead to acne and other skin diseases. I’m also really concern about dark eye circles and skin areas. I still have yet to find a facial brightener that works for me! Acne is my main skin concern. For me it’s all the signs of aging, the little lines, spots..
My main concern is pimples. I hope I can get rid of them! I have been considering a Clarisonic recently because I’ve been trying to use SPF on a daily basis after reading countless newspaper stories and blog posts about how important it is to protect your skin from sun damage. All of the sunscreens and SPF day creams I’ve tried have broken me out and I suspect it’s because my cleansing routine just isn’t removing the sunscreen at the end of the day. A milky cleanser and toner just don’t seem to be enough. I’m hoping that a Clarisonic will fix that and leave my skin clean and fresh! Hope you do a more detailed review of the Clarisonic soon! My main concern is adult acne, followed by some hyperpigmentation. My main concern is pimple in chin. White/ black heads on the nose. Large pores in the cheeks. And dehydrated skin.